TORONTO, ON--(Marketwired - September 14, 2015) - Porter Airlines will fly to Florida for the first time with the introduction of seasonal service to Orlando-Melbourne International Airport. From December 19, 2015, to April 30, 2016, Porter will offer weekly, non-stop flights between Billy Bishop Toronto City Airport (BBTCA) and Orlando-Melbourne International Airport. Introductory prices start at $392 Cdn. for a round-trip. Flights are now available for booking at www.flyporter.com. "Many Canadians want to escape during the winter season, so including Central Florida as a seasonal service makes sense for our passengers," said Robert Deluce, president and CEO of Porter Airlines. "We see this as a great opportunity to meet current requests that we have for Florida flights and demonstrate the demand that exists for Porter to serve the state in a more meaningful way long term. Orlando-Melbourne is a great location for accessing many iconic attractions." Located just 20 minutes from Port Canaveral -- the world's second largest cruise port -- 30 minutes from Kennedy Space Center and less than 10 minutes from the beach, Orlando-Melbourne is an ideal Sunshine State destination. Orlando's major attractions, including theme parks, are accessible via the I-95 within an hour's drive. "What a spectacular feeling to bring scheduled, international service to Melbourne, Florida, via Canada's third largest scheduled carrier," said Orlando-Melbourne International Airport (MLB) Executive Director Greg Donovan, AAE. "This is a winner for travellers who will seize this opportunity to connect Canada's largest city to the best of Florida via Porter's innovative, non-stop service. Porter Airlines is an award-winning industry leader in customer service, and is now providing immediate and convenient access to our beaches, the nation's second-largest cruise port, resorts and all of the amenities for which Florida is so famous -- and at a tremendous value to travellers. MLB is excited to open this new transportation bridge, which assures passengers a stress-free travel alternative." "Canada is an important market for Florida's Space Coast," said Eric Garvey, Executive Director of Florida's Space Coast Office of Tourism. "Canadians love Florida's sunny, tropical weather and how we always welcome them with great southern hospitality. Porter passengers will now have immediate access to Melbourne and its spacious beaches, world-famous Cocoa Beach, the cruise lines sailing out of Port Canaveral, Orlando's theme parks and, of course, our own Kennedy Space Center." Porter's home base at BBTCA is recognized for its convenience and proximity to downtown Toronto; just 2.5 km from the central business and entertainment districts. The airline is known for providing a premium passenger experience, including leather seats, complimentary wine and beer onboard, and airport lounge access. 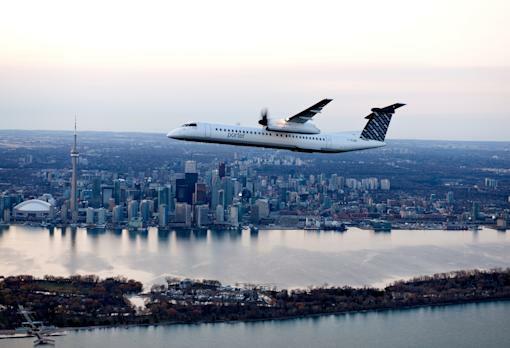 Its 'flying refined' approach has helped make Porter the Best Regional Airline in North America two years running at the Skytrax World Airline Awards. The complete flight schedule is available on Porter's website, featuring weekly Saturday departures. Connections for Montreal, Ottawa, Thunder Bay, Sault Ste. Marie, Sudbury, Timmins and Windsor are also available. Porter Escapes vacation packages for Orlando-Melbourne will be available at www.porterescapes.com in the coming weeks. 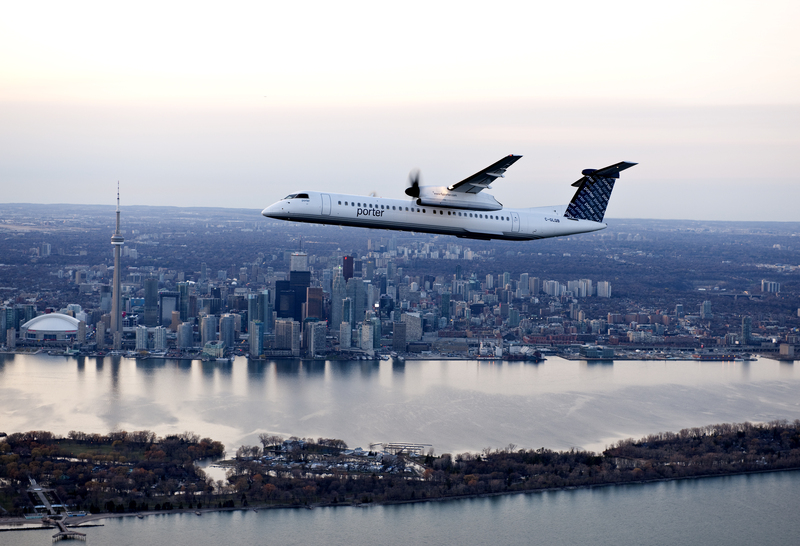 Porter Airlines has revolutionized short-haul flying with a warm and effortless approach to hospitality, restoring glamour and refinement to air travel. Porter is an Official 4 Star Airline® in the World Airline Star Rating® by Skytrax, and rated Top Small Airline in the world by Condé Nast Traveler's Readers Choice Awards. The airline currently offers flights to Toronto, Ottawa, Montreal, Quebec City, Moncton, Halifax, St. John's, Thunder Bay, Sault Ste. Marie, Sudbury, Timmins, North Bay, Windsor, New York (Newark), Chicago (Midway), Boston, Washington (Dulles), Pittsburgh and has seasonal flights to Mt. Tremblant, Que., Myrtle Beach, S.C., Charleston, S.C., Burlington, Vt. and Orlando-Melbourne, Fla. Vacation packages are available from Porter Escapes at www.porterescapes.com.